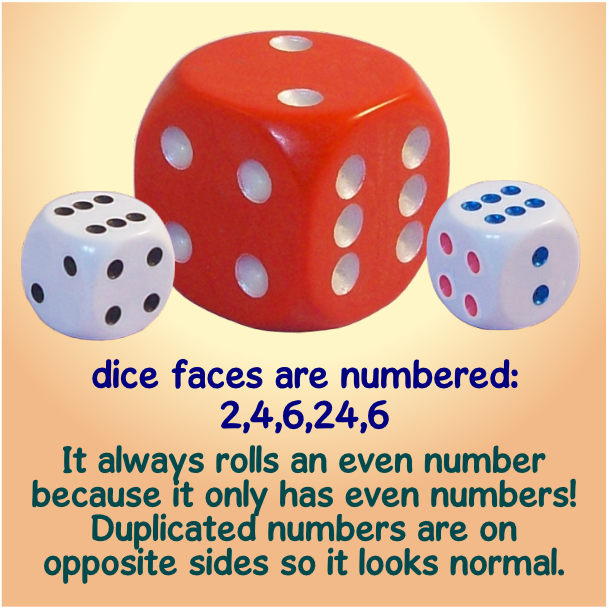 In their own way Regulars are the most powerful trick dice of all. 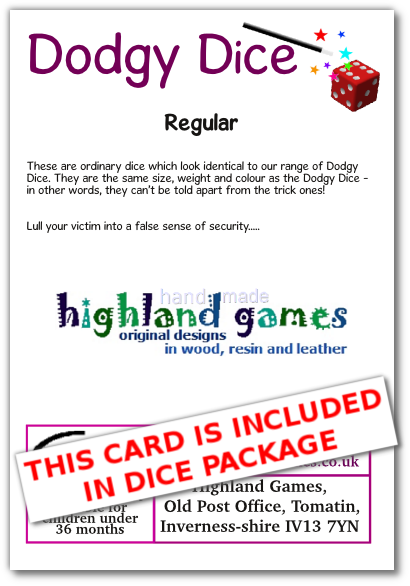 Use them to lull your victim into a false sense of security! 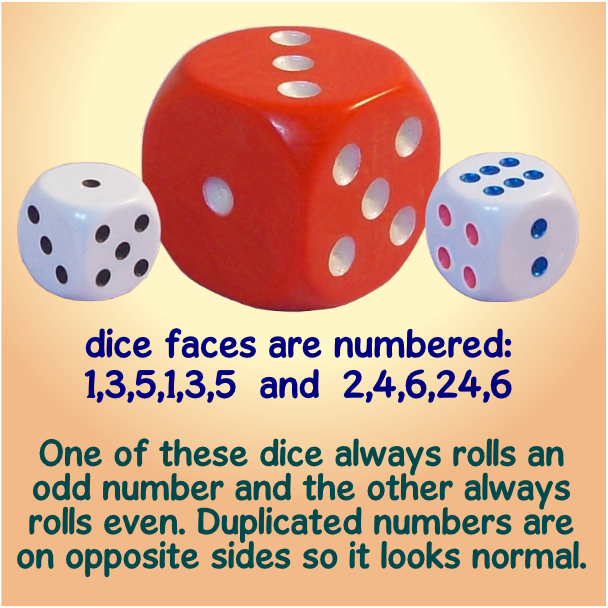 These are ordinary dice which look like the trick ones. 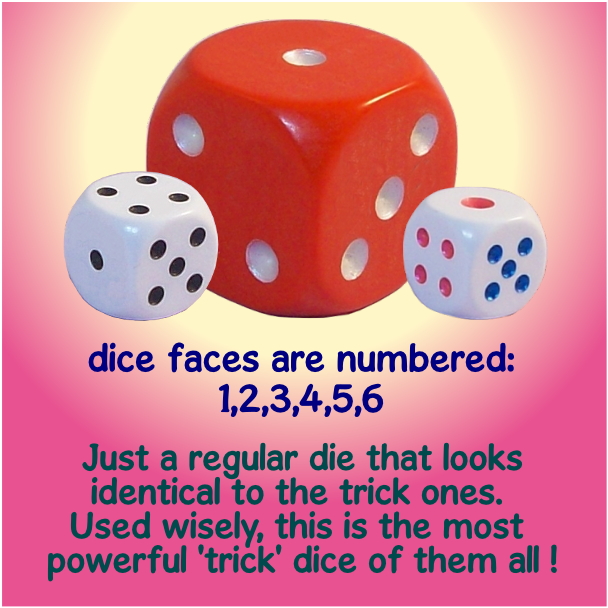 They are the same weight, size and colour ….. in other words only a close examination can tell them apart from the trick ones. 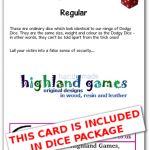 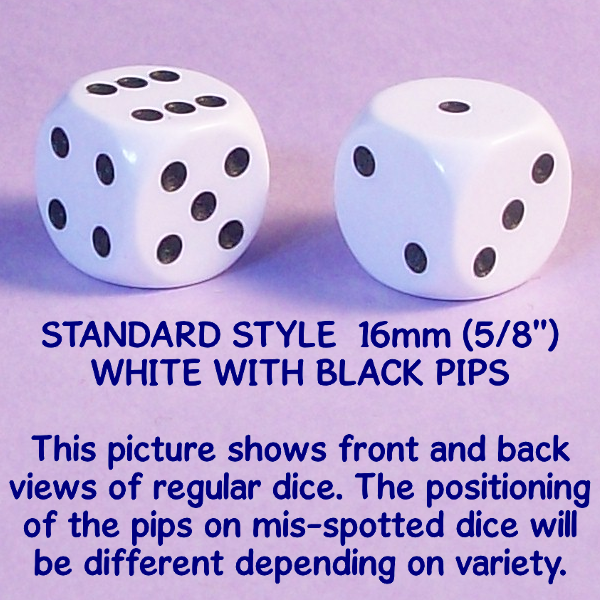 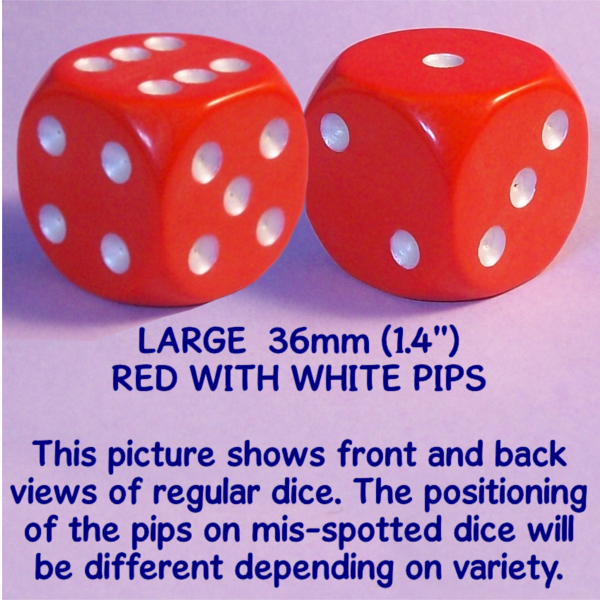 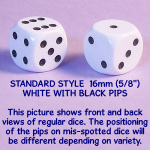 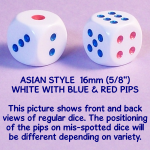 Use them when there is a possibility of the dice being subjected to close examination, then swap them for your trick dice at the crucial moment. 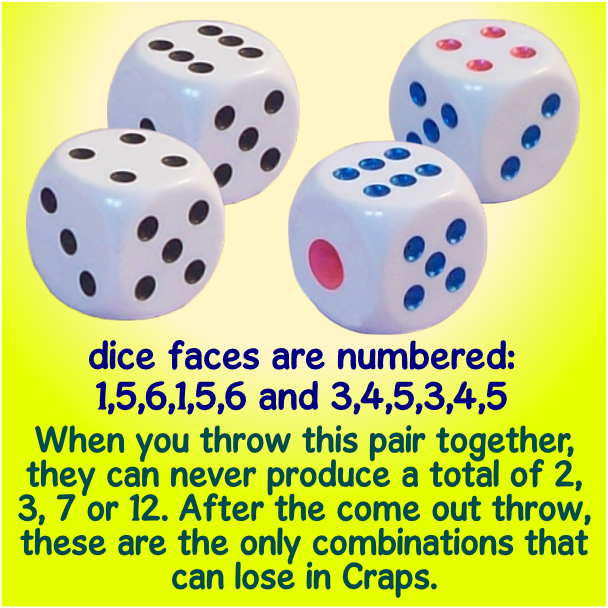 Swap them back afterwards and then casually leave them available for further scrutiny. 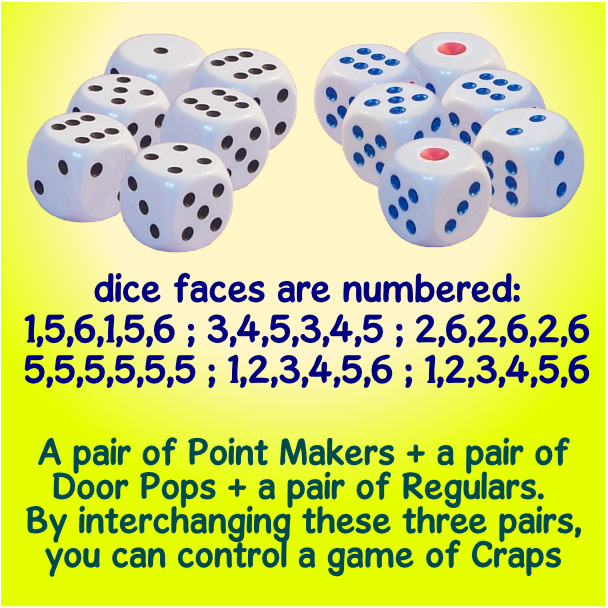 They are an essential accessory. 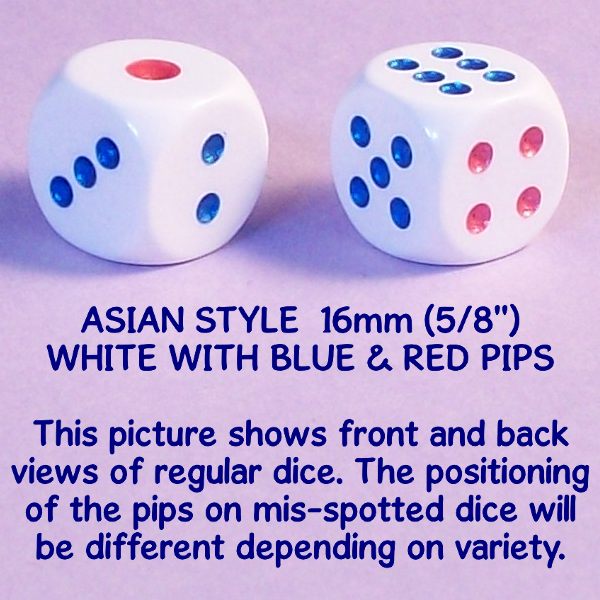 Don’t forget to include some when you order your trick dice. 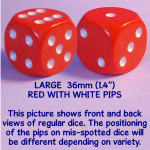 Available in standard white 16mm, Asian-style white 16mm, or large red 36mm.